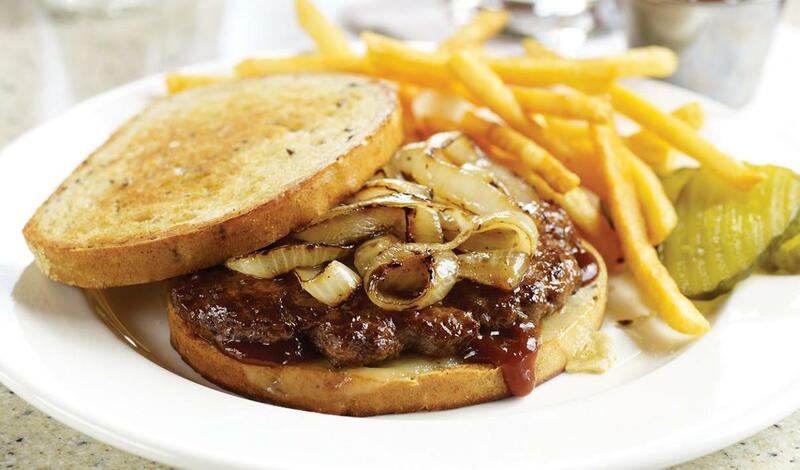 A burger with BBQ sauce and onions served with Hellmann's® Real Mayonnaise that just melts in your mouth. Grill or broil beef patties to desired doneness. Spread bread evenly with BBQ sauce. Top one slice of bread with cheese, beef patty and onions. Spread outside of sandwich evenly with Helllmann's® Real Mayonnaise. Griddle over medium heat, turning once, until cheese melts. Serve immediately.